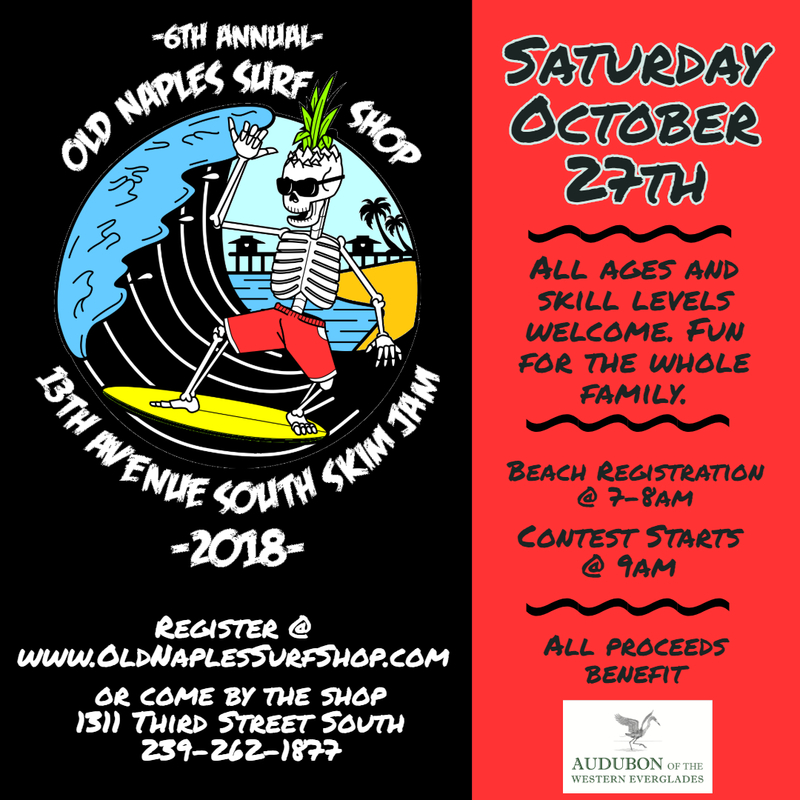 Old Naples Surf Shop presents the 6th Annual 13th Avenue South SKIM JAM on Saturday, October 27, 2018. CLICK HERE TO VIEW SKIM JAM 2018 PHOTO ALBUM!!!! Contest takes place on the beach at 13th Avenue South Naples, FL (one block south of Naples Pier). Registration form available for download here or stop by the shop and pick one up. - $65 Entry Fee for PRO Division. Winner Takes All! All contestants will receive a swag bag, custom contest t-shirt and lunch. There will be giveaways and games throughout the day, fun for the whole family! The top three contestants from each division will receive trophies and prizes from our sponsors. PRO Division $65 Entry Fee. WINNER TAKES ALL!! !